KEYWORD: Bowl / Figure / Religious Object / Ceremonial Object / Kava Accessory / CLASS: Narcotic / Vessel / Figure / Religion / Ceremonial / ?. Object description: The shallow bowl is carved from one piece of wood. The figure’s face has been painted or stained black. There are two small circular wooden feet on the underside of the bowl. The bowl has been perforated in two places, in the centre of the chest and on the right foot. The bowl is stained with marks from old labels and the surface scratched in places. Some food dishes are made to be used by a specific type of person, often of high status. This shallow Fijian dish was made to be used by a priest. It is carved in the form of a human being. It was made some time before 1874. Project information: Oxford houses unique museum collections of objects closely related to gathering, producing, growing, preparing and consuming food. They are testimony to a great variety of foodcultures in the world. 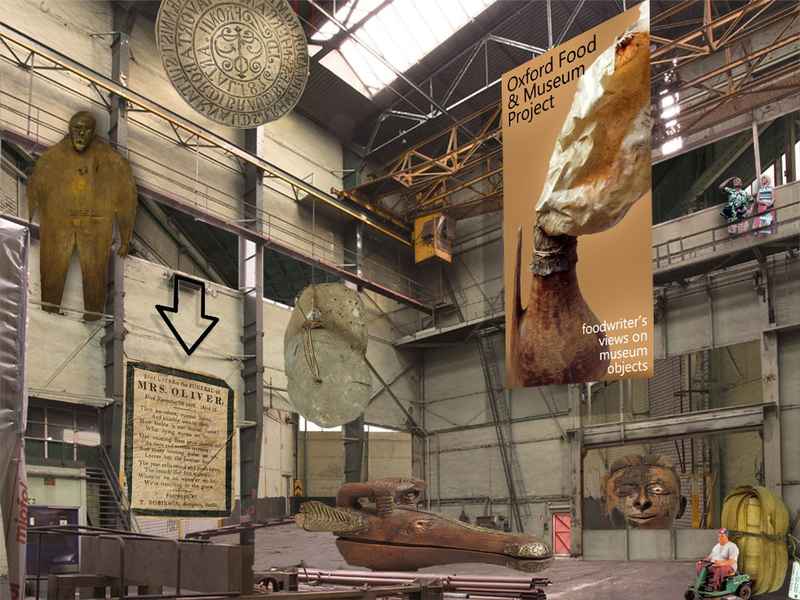 A cooperation between the University of Oxford Museum Collections and the Oxford Symposium on Food and Cookery (OSF) creates excellent opportunities for symposiasts to present work in a new context, as well as providing the museums a gateway into the food world and reaching new audiences.